Meet the Pro – Tamer Win Golf & C.C. 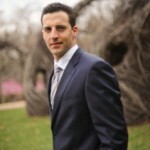 Matthew J. Rura, PGA is the Head Professional at Tamer Win Golf and Country Club. He has been teaching golf since he was 16 years old. His client list includes new and advanced players and some well-known national celebrities. Matt is particularly known for his patient attitude and fun personality, in addition to his considerable knowledge and skill in the game. Matt Rura is a third generation Tamer Win family member. His grandfather, Charles E. Winch, opened the golf course in 1961. His mother, Deborah Rura, and uncle, Charles D. Winch, are the current owners. Matt learned to play the game on these fairways at a very young age and has been working in the golf business for over twenty years. Matt returned to Tamer Win in 2012. He and his wife, Amanda, moved from the Washington, DC metropolitan area. While in DC, Matt worked at Robert Trent Jones Golf Club (host of four President’s Cups) and had the honor of changing the cups on the White House putting green. He was the Head Professional at Rock Creek Golf Course for five years and a highly sought after instructor at Capital City Golf School (GolfDC Academy), one of the busiest golf schools in the nation. Matt was elected a member of the Professional Golfer’s Association in 2015 and is the first PGA Professional in our history. This accomplishment is something he is very proud of and is eager to share his ability as an expert in the game and business of golf. He is constantly working to improve his golf knowledge and is currently completing the PGA Certified Professional Program in Teaching & Coaching. 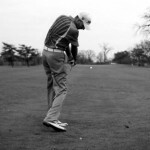 Matt’s approach to instruction is grounded in the fundamentals of the game. His students will learn and improve skills through goal oriented practice. With data from a TrackMan launch monitor, players will be provided facts about their performance and guided to refine and improve as necessary. Matt takes pride in his consistent short game and considers it one of his specialties. Matt is a PING staff player and expert club fitter. He is available for lessons and fittings seven days per week by appointment. PING G400 LSTec Driver 8.5°. PING G400 Stretch 3 Wood. PING i25 Hybrid 17°. PING iBlade Irons 3-PW ProjectX LZ 6.0. PING Glide 2.0 Wedges 52° & 58°. PING Anser2 Vault Putter. Titleist ProV1x ball.